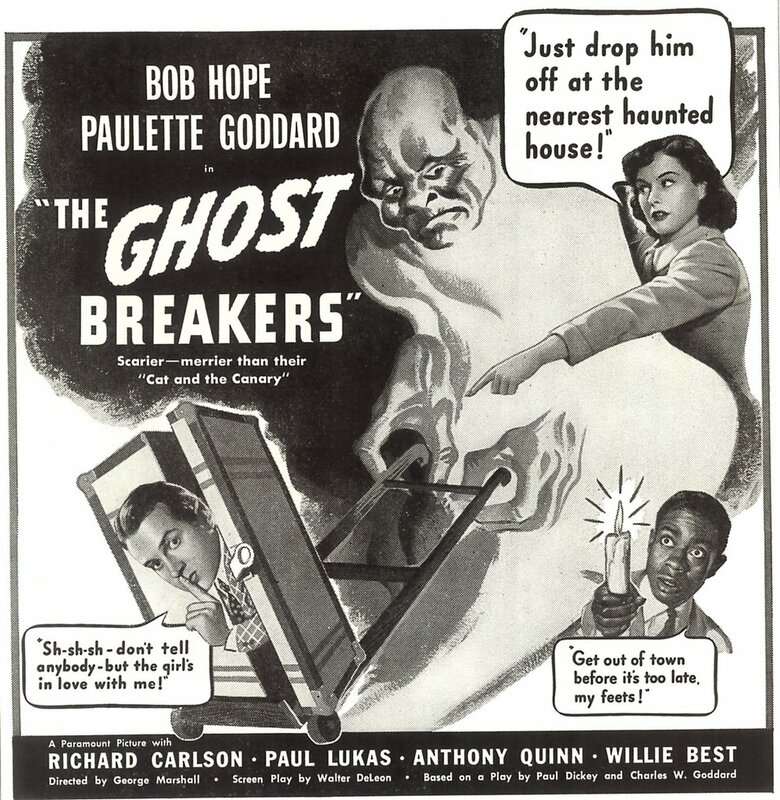 The Ghost Breakers gives us Bob Hope before his screen character was firmly established. Skittishness is not yet outright cowardice. Romantic pursuit has not become undisguised lechery. The vanity and conceit that would define the forties Bob is not yet in place. It’s refreshing, and at the same time, regrettable, to realize this Bob Hope is but a temporary pleasure, and that he’ll soon be defined by conventions of high-pressure radio and wartime comedy. Hope’s much more a leading man here, not the brash go-getter he’d become. Possibility of legitimate romance with Paulette Goddard does not require suspension of disbelief, as later it would in screen partnerships with Dorothy Lamour , Madeliene Carroll, and others. Bob gets the girl here, and we accept it, not just because he’s the star, and therefore must prevail, but because it’s plausible. This was among last times he pulled that off, and one among several reasons The Ghost Breakers plays so well. The pic surprises for bigger and better horror elements than any half-dozen by-definition thrillers, with photography, special-effects, and set design putting over the spook stuff with conviction rare in lower-budget horrors it spoofed. Paramount wasn’t Universal. They had money and didn't mind spending it. The Ghost Breakers wasn't confined to a ghetto marketplace of straight chillers ... everything about it bespeaks class and major studio gloss. In that sense, it’s not unlike RKO’s You’ll Find Out of the same year. 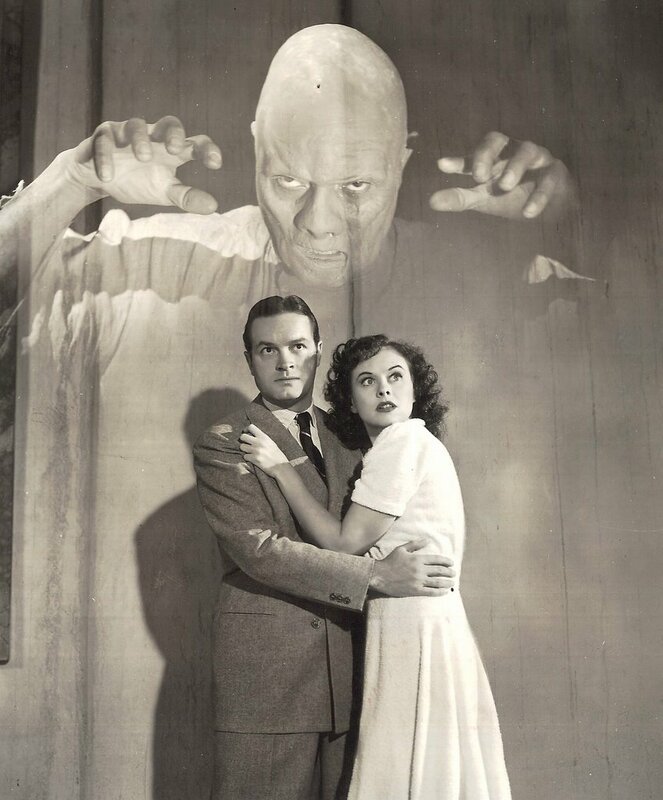 Thrills plus comedy broadened the market considerably, and both these pictures found a much larger audience than any Universal monster show could hope to draw. The scary stuff in The Ghost Breakers must have really been scary at the time, with only reassuring presence of Bob Hope to relieve audiences. Noble Johnson’s zombie is a frightful thing, and the (real) ghost that appears quite casually during the castle sequence is a beautifully realized, and totally convincing, spectre. The castle itself is a humdinger --- huge, spacious, imposing. Everything taking place there is a joy to watch. 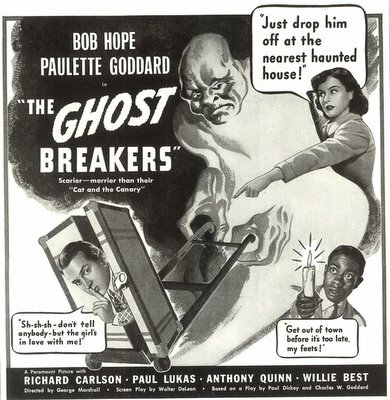 The Ghost Breakers is surest bet for repeat screening, especially at Halloween, or for crowds better disposed to thrills with comedic overlay. The DVD's fine. Certainly this show never looked better. I'd recommend it highly. 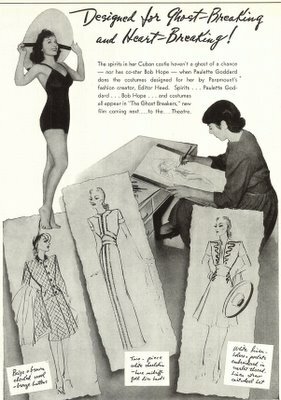 The 1940 pressbook promised The Ghost Breakers would be "Scarier and Merrier" than the previous year’s The Cat and The Canary. Every tie-in imaginable was put into play. Fashion lay-outs for Paulette Goddard (one shown here) were designed with Edith Head’s assist. Bob Hope conducted an ongoing radio bally that reached 61 affiliates on the NBC Red Network. The ad campaign was stellar --- as evidenced by samples above.